Hit this morning an earthquake of 8.9 on the Richter scale jolted the islands of Japan, which killed scores of people in what was described as the worst earthquake to hit Japan in 100 years. Resulted in the massive earthquake that struck Japan on Friday to fall 59 people and wounding dozens, according to the announcement by medical sources in Tokyo, expressed concern over the rising casualty toll by the tremor, which is considered the strongest in the country a hundred years ago, also included warnings of the tsunami, "Tsunami" 20 State, after the waves swept the coast of Japan, the height of each of several meters. 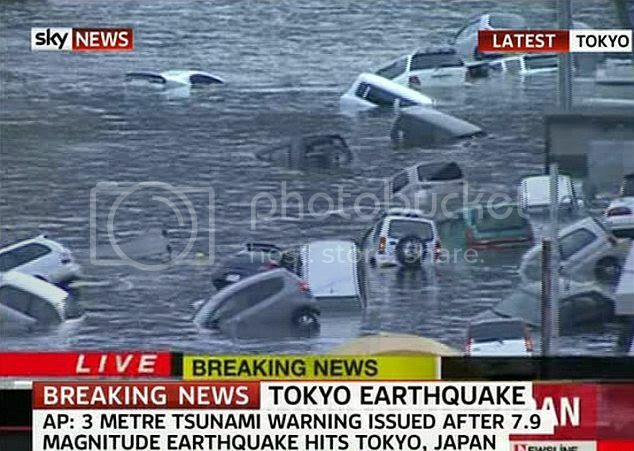 And still the inhabitants of many cities, including the capital, Tokyo, feel the tremors regressive, while A considerable number of the population on the coasts to the upper floors of their homes to escape the flood waters that swept through the agricultural fields and streets and submerged large areas. Included warnings of the tsunami to Indonesia and countries in Central America, such as El Salvador, Guatemala, Costa Rica, as well as the island of Hawaii, along the western coast of Canada and the United States. For his part, said Paul Connelie, a spokesman for the International Organization of the Red Cross, said that there are a lot of concern about the possibility that the high tidal waves to the extent that it is able to flood the islands of the whole in the Pacific, while approved by the U.S. military deployed in Japan to open the base "Otsugi" Navigation civil order to help the Japanese authorities to remedy the situation. There have been three earthquakes with magnitudes of seven degrees or more within forty minutes of the first quake epicenter was all off the Pacific coast near the central and north-eastern Japan. The cameras showed the radio and television NHK Japanese tsunami which flooded roads and washed away cars and houses in the provinces affected. 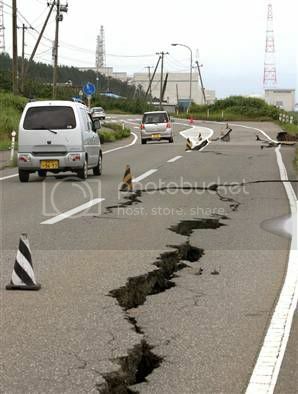 The violent earthquake struck strongly 8.9 degrees areas north-east of Japan on Friday, causing a state of terror severe after the arrival of influence to the capital Tokyo, although the status in the depths of the ocean, and the images showed the direct arrival of waves of the tsunami, "Tsoumani" rise three meters, swept the effects Coast . The U.S. Geological Survey that the quake's epicenter is located at a distance of 237 miles from Tokyo, and once the quake, issued tsunami warnings in Japan, as well as in Russia and some islands of the Pacific Ocean. The center said: Depending on the available information, the tsunami that produced by the earthquake of this type may destroy large areas of coastal land, even at long distances from the center. " He noted that the center to the quake, which was thought at first that he strongly 7.9 degrees, before being re-evaluated to consider, is the kind of massive, but the data are not sufficient to know whether the effects of the tsunami will reach the Hawaiian Islands. 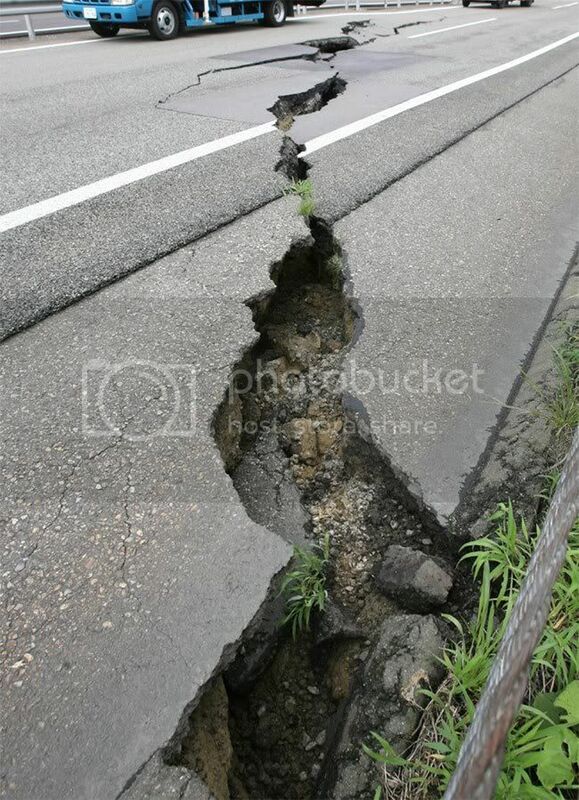 Does not consider areas of north-eastern Japan in the seismically active habit, and therefore sees a number of observers have said the quake was a surprise in terms of power and status, especially since the devastating earthquake in Indonesia was strongly nine degrees. 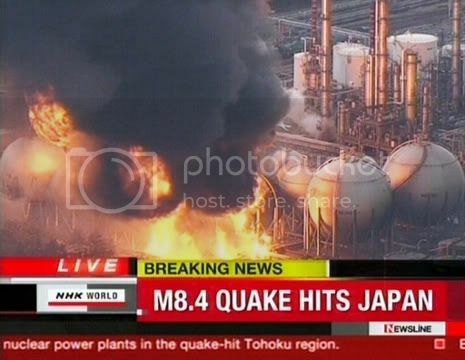 The images showed direct presented by the television networks in the Japanese large column of smoke rising from the Port Iwata, unclear reasons. 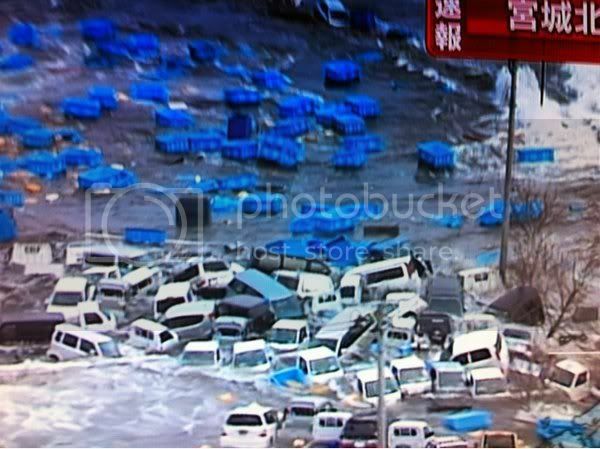 As dozens of cars which seemed to float in the water, also showed the first direct image of the arrival of tsunami waves how the invasion of sea water of the coastal streets. Japanese authorities have confirmed that approximately four million households in Tokyo are without electricity, while a small crowd gathers in the streets of cities, fearing to return to their homes because of the aftershocks to try to contact their relatives to check on them. And return the most powerful earthquake recorded in history to 1960, when the earthquake measuring 9.5 degrees in the areas of Chile.